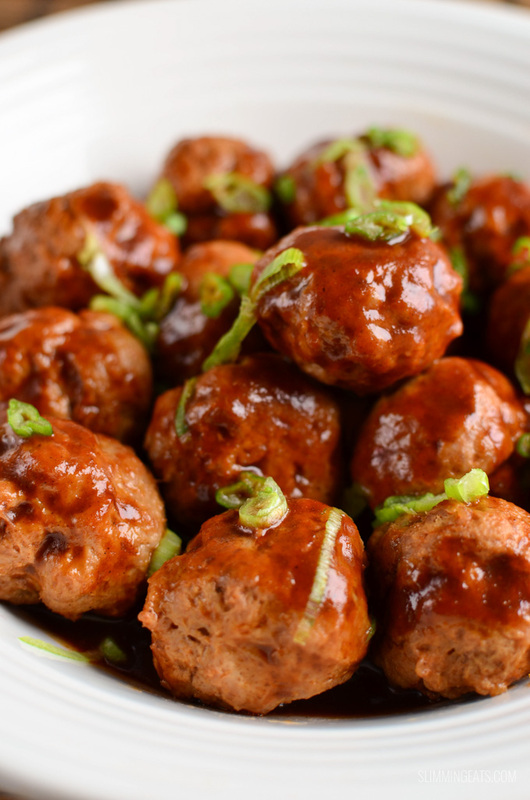 Chicken Meatballs in Hoisin Sauce – juicy chicken meatballs that take in all the delicious flavour of Hoisin Sauce. 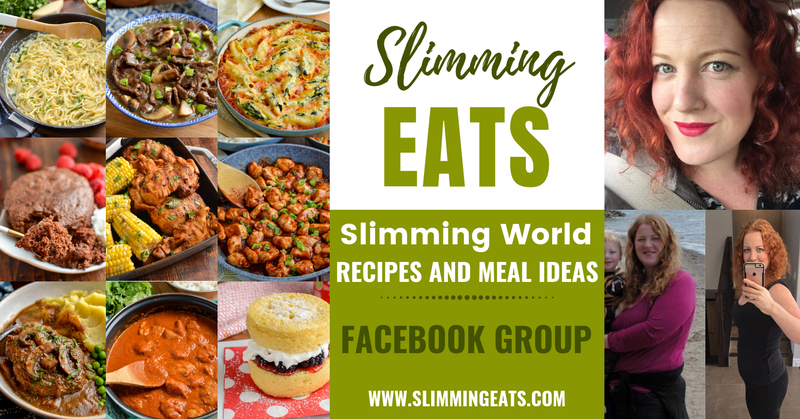 This is definitely a dish for the whole family, kids will love these meatballs and the adults too and best of all they are only 1 syn per serving. 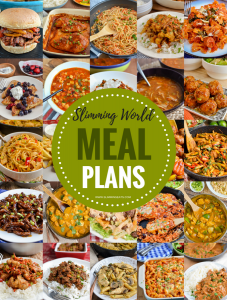 The meatballs are so simple to make too – just ground chicken and seasoning is all that’s needed, as the sauce itself is packed with flavour, so once you coat those meatballs in the sauce, you really do not need anything else. 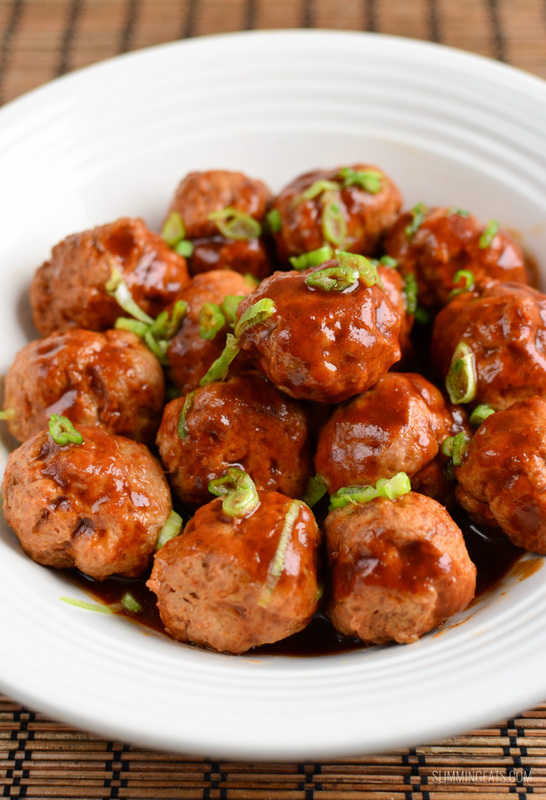 As for sides, these Chicken Meatballs in Hoisin Sauce would go well with anything – syn free chips, noodles or my favorite stir fried veggies for some speed foods and steamed white rice. Delicious!! 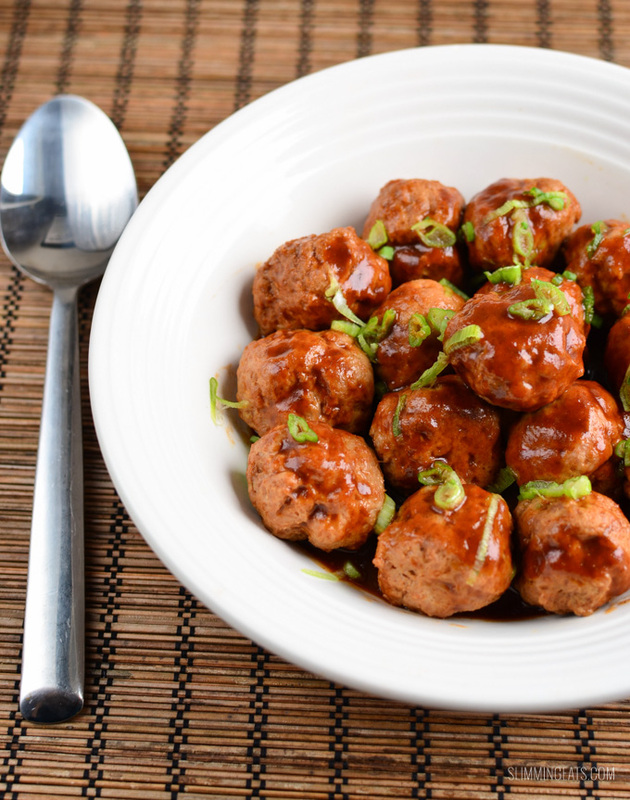 You just know you want to make these delicious Chicken Meatballs in Hoisin Sauce, right? These would also make a great appetizers for a party of buffet. Just place each meatballs in sauce on a cocktail stick and sprinkle with a few sesame seeds – yummy! Add all the ingredients for the meatballs to a large bowl and bind together, form into balls..
Would this work with turkey mince do you think? I have some in the freezer and didnt know whether I could substitute it? Thank you!! Thank you for the quick reply!!! I will do that tomorrow evening and let you know what I think! 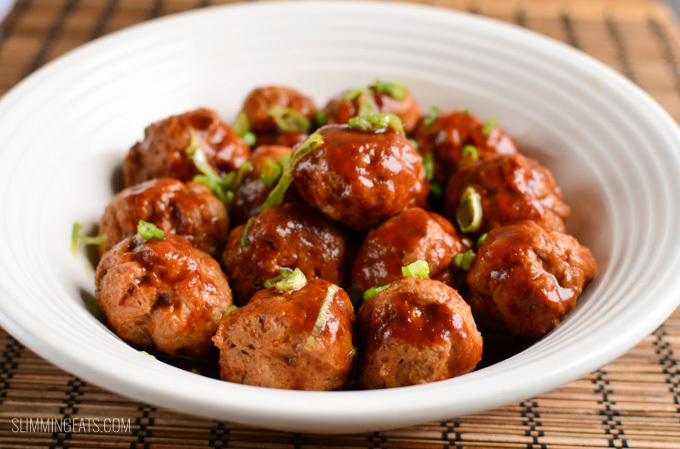 I’ve never heard of Asian meatballs before but these would make an awesome party appetizer! thanks, it was just something I kind of threw together, but it worked extremely well and you are right, they would be great as a party appetizer. I hope you enjoy them, should you ever try the recipe :). These sound delicious-I bet that sauce is good with a lot of things-can’t wait to try it!